As the statistics show, almost 60% of the small to medium businesses tend to look for external funding in the first three years of the business. Some of these may be to find the working capital whereas some others with the need for an expansion. It may also include the need for raising working capital or to buy machinery or to hire more staff. Sometimes, it may be re-financing the existing loans to reduce the cost. Businesses frequently require fund advance for a variety of reasons. In this article, we will explain some of the most common purposes businesses used to look for funding, which you can match with your need in hand. A business, which is still in its conceptual stage of a new business which is left at the primitive startup stage may need finding to rise. Most of the entrepreneurs tend to use their funds to invest in their ideas. However, very few out of the aspiring businessmen manage to raise the entire fund themselves. This is the reasons why most of them are hesitant to start with their initiative. However, it may not be possible to fully self-fund a business to take it to the profitability stage. • Different government grants etc. Start-up loans to promote fresh entrepreneurs are now offered by many major banks as well as various Federal agencies to promote the SME sector. Such a fund advance can be used for any productive purpose like establishing a business to hiring staff, purchase machinery. To find such funds; however, the lenders may require a perfect and detailed business plan, and they also will be assessing the creditworthiness of the borrower for approving the loan. Having enough working capital is one of the key aspects to decide the financial health of any business. If there is no adequate fund, then it can seriously affect the future and well being of a business. Many businesses apply to money lenders to find adequate working capital to ensure smooth run of their business. Loans from agencies like Liberty Lending US are of various types like covering the short-term financial gaps of businesses as well as to meet the long-term financial needs. Sometimes, the need of a business may be bridging the gap between processing customer orders and getting the invoices honored after delivery of service. Some of the researches have shown that this is one reason why most of the businesses look for fund advances. These types of loan requirements will also now let the businesses to enjoy the benefits of the new opportunities in fundraising. Short-term financing will also let the organizations explore the opportunities to invest in new and innovative products and services or to capitalize on the marketing scenario to expand. Working capital loans offer a cushion or a launch-pad for the organizations to meet their need for a few additional funds. For small businesses, it is easy to meet the day-to-day cost of running with such a loan so you may have the fund in hand to meet all unexpected costs. On the other hand, seasonal businesses also will benefit through working capital loans during the lean periods to meet up their basic expenses, which can be recouped during peak seasons. To grow a business and increase productivity, it requires the purchase of new assets regarding land, machinery, vehicles and more. When you have to find enough funds to meet up with the working capital expenses, one may have to look for a feasible option to cover the cost of the new asset purchase. This is essential for the expansion of a business. There are many types of loans for asset funding, which allows users to spread the cost of acquiring new assets. The terms of such loans in terms of repayment may range from 3 months to 5 years or more, which will effectively help you to plan for appropriate cash flow to leverage the right opportunities and grow. Businesses use asset purchase loans for various purposes based on expansion plans. These funds can be used to purchase vehicles for business purposes (remember not for personal comfort). You may also use such a loan to purchase office space or develop the IT infrastructure of your business. Most ideally, it can be to purchase new machinery or resources to enhance productivity or to make some new products or services. In this way, you can scale up your production and revenue by easily spreading the cost involved than paying a large lump-sum amount upfront. This requirement arises mostly at the advanced stage of a business, where the business may have a few unmanageable debts to be restructured. The concept of debt consolidation is also taking another loan to pay off all the existing loans and combining the outstanding debts all into a single debt. Consolidation loans are ideally aiming at reducing the overall cost of debts for business and to make debt management much easier. Getting a new loan to restructure the existing debts is found to be an effective method of better financial planning. For a small business, it will reduce the number of repayments you have to make monthly as well as can reduce the total interest paid on existing debts. 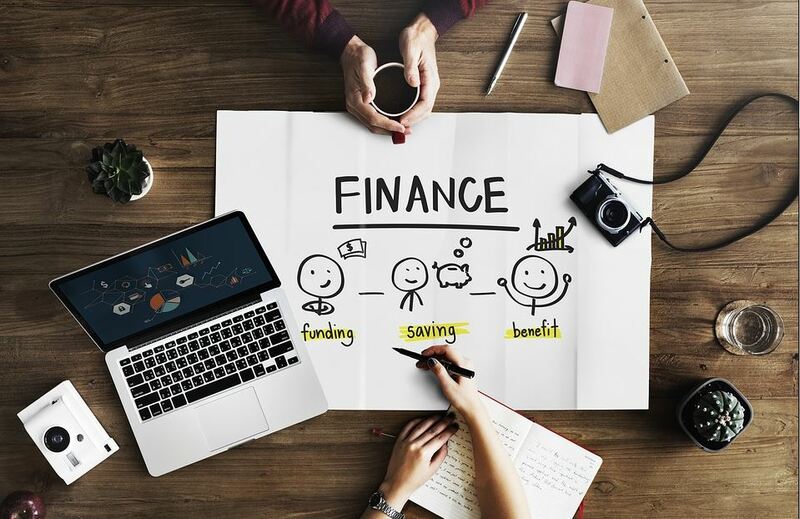 Refinancing the existing debts can also help your business grow by freeing up funds which can be flown into the working capital and to meet the expansion needs. Whatever need you have in hand, there are many possible avenues for businesses to raise funds through various types of loans. It is not just banks, but there are many private lenders too now offering business loans of various kinds to businesses ranging from SMEs to big corporate.